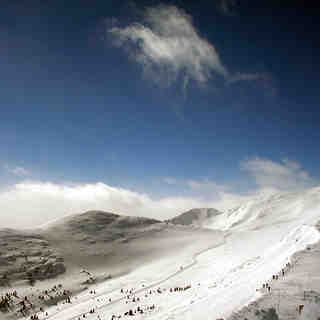 Copper Mountain is the place to be if you like to ski with those of a similar ability. The trail systems at Copper Mountain are separated by ability levels so beginners don't cross in front of experts.The Copper Mountain Village has been re-done and is now among the best and most convenient of the Colorado destination resorts. Lodging is located just steps away from the mountain. Copper Mountain has over 850 lodging units ranging from hotel rooms to 5-bedroom home and premium condominiums. We live in Denver area and go to Copper usually once every week. This year, we got a ton of snow at the beginning of the season so most runs were open early which was great. Problem now is that we are going through a dry spell. 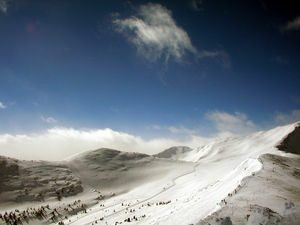 And, when there's a dry spell you want to ski at Copper Mtn. Copper always has good snow even if it's been a week or two without new snow. 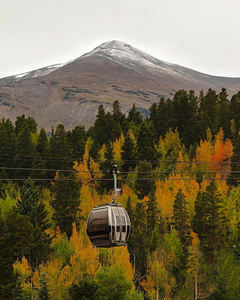 Vail gets crusty, Keystone gets rocky, Breckenridge gets wind blown. But, somehow, especially in the dry years we wind up going back to Copper and if we go anywhere else we ask ourselves, "Why didn't we just go to Copper?" Lesen Sie 3 andere Beurteilungen ueber Copper Mountain oder geben Sie Ihre eigene Bewertung ab.